I have just done some test with last fix pack of 8.5.3 : FP3 and it seem to correct all POST request exception. Currently working on checker and import services to fix a bug. Hope for a release during next week. To be clear, there is an issue with ICS and the built in browser. My app rely on the web browser provided by Google, and the issue is the same in the end. As stated here, 8.5.3FP3 is due on November. I will keep beta status on the app up to this release as I can’t realy do anything at the moment. For information, I use a 8.5.3 FP2 Domino server and POST method is doing this error 500. But GET method is working well. just made an update to the mail checker and import service. You will perhaps have to stop, and re-activate these feature to activate the new version. Wait a minute, then send one to many mails to your lotus notes mail. If notification pop, you just have to setup a longer interval timer, 10 to 30min seem a good timer to check mails. If you don’t see anything pop on your phone, then please install aLogcat application from the market. You will get the logs of Lotus Launcher on your phone. Please send this to me by mail (use share function in aLogcat app) so I will have a look at what is going wrong on your phone or setup. Thank you to every Lotus Launcher users, there have been about 100 000 users of the app ! Some news after a difficult month. Sorry for the little break but work and baby have just keep me off Lotus Launcher. I was also waiting a new fresh Nexus Galaxy to be able to work on ICS port of Lotus Launcher. 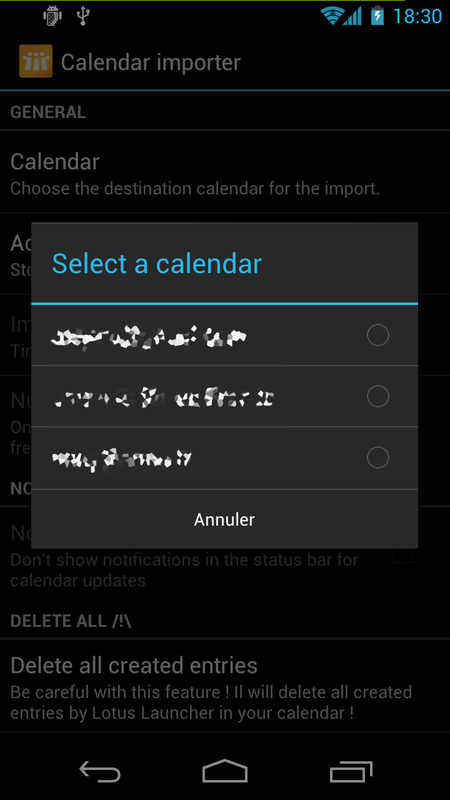 Now I will be able to work properly on the support of calendar on ICS. I will also try to anwser to all the mails waiting for a response since some time during this coming weeks. Sorry for the delay. But, it is just a quick fix : I have disabled the calendar stuff in the app. Google has just update all the stuff concerning the calendar access, and has disable all the former method we were using. I hope to be able to make it available soon. 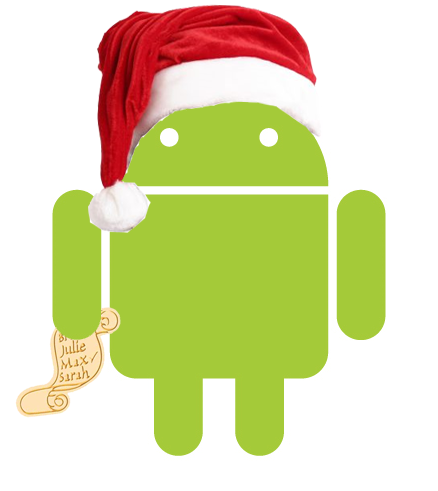 It look like santa claus give a galaxy nexus to a lot of people recently… and every body is contacting me to get ICS support. New functionality for calendar import (beta) : Lotus Launcher try to get location, private/public, alarm (and time for alarm) and real description of the events. New functionality (beta) : widget for Full version only. The widget will present last 3 received mails. No configuration for the moment. Merry Christmas to every one, and have an happy new year ! With update 1.0.5 come a new calendar provider handler which should help for Motorola, LG, and TouchDown calendar applications. As I do not have these phones to make tests, do not hesitate to contact me if you experience any issue with retrieving your calendar. If the application could detect no calendar provider on the phone, then the field for calendar selection will be disabled. 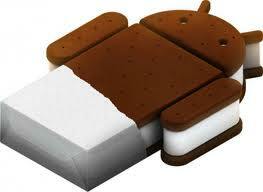 If you are in this situation, contact me by mail with your phone model and android version. Now download files attachments to SD Card in data\lotuslauncher with full access to the file. If no SD card is found, or if SD card is not avaible, the file will be downloaded on phone automatically with read only mode.